The controversy over the fake Pinot Noir scandal has flared up again with an open letter to the local producers' union by Jean-Louis Denois, one of the pioneers of growing Pinot Noir in Limoux. Denois calls for resignations. The story is reported in today's La Dépeche. 'Le procès en appel du «faux pinot» connaît un nouveau rebondissement avec la lettre ouverte d'un vigneron aux syndicats de cru. Apparently at the recent Vinisud wine fair someone involved in the scandal at Sieur d'Arques claimed that all the publicity generated by the scandal was good for business! 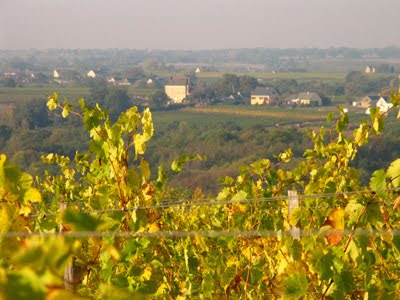 Originally from Champagne, Denois set up his Domaine de l'Aigle in 1988 and soon established a high reputation for his wines. 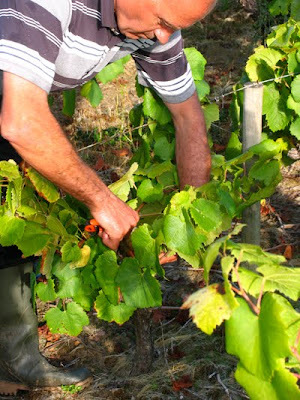 Denois sold part of his domaine in 2001 retaining some of his vines and the winery. 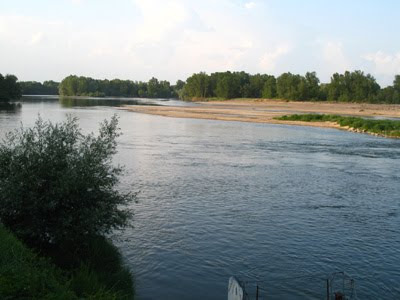 He caused a storm by planting small parcels of Riesling and Gewurztraminer in Limoux and was eventually forced by court order to grub them out. Click here for another explanation of how the Americans came to be sold the fake Pinot as well as why 'Modération' is the most popular name for pets in France. See latest reports in Presse Océan here and here of the storm (Xynthia) that hit France's Atlantic coast overnight. There have also been storms in parts of Spain and Portugal. Also reports in Ouest-France including a gust of wind of 121 km/h at Martigné-Briand in the Loire. At least nine deaths reported across France with a million homes without electricity. Probably the most severe storm since the two that hit France in late December 1999. 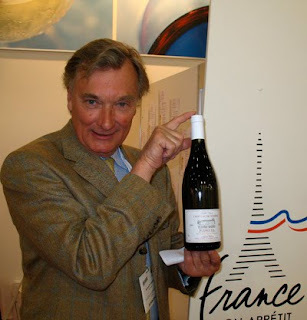 Salon des Vins de Loire 2011 – will there or won't there be one? At the end of last year there was much discussion over the future of the annual Salon des Vins de Loire, which was established back in 1987. In these straightened times some, although not all, of the négociants want to cut the budget for the Salon so that it becomes bi-annual rather than every year. We need the Salon every year is the reaction from many producers, who find the fair an indispensable meeting place for the various cavistes, wholesalers and restaurateurs from the home market as well as their importers. It is clear if the Salon became bi-annual, then some producers would be asking why are we paying to fund Interloire? To an extent I can understand the position of some of the largest négociants. 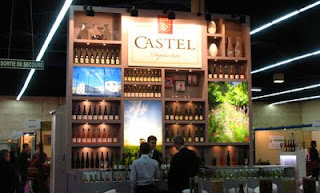 Take Castel, for example, now the largest of the Loire négoce and based in Bordeaux. What benefit does it get from paying for a large stand at the fair? The clients it needs to see are small in number, although undeniably important and influential. Probably only six or seven from the UK: the supermarkets and the remaining national wine merchants, although shrunken in number since the demise of Threshers. So will there be a Salon next year? I certainly hope so as I've been every year since 1990 and have already reserved my room at the Hotel du Mail in the centre of Angers. The 2010 catalogue rather ambiguously asks people not to forget the 25th edition of the Salon 'Debut Février 2010' and promising a 'nouvelle formule: un salon encore plus adapté aux besoin de la profession'. But, gentlemen, unless I'm seriously mistaken, we are now right at the end of February 2010. I spoke to Bénoît Roumet, director of the Bureau du Centre Loire, yesterday and he was adamant that there would be a Salon in 2011, although the date hasn't yet been fixed and there will be a meeting to discuss what changes if any will be made. There is no date yet for this meeting. It will be interesting to see what changes they make. 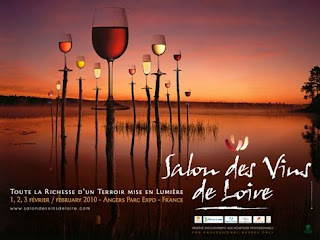 If it is to survive the Loire Salon needs to be held every year. Were it to become bi-annual I'm sure it would soon disappear. The Salon remains a generally well run and friendly event. Although it would look more professional if all the exhibitors arrived on time. 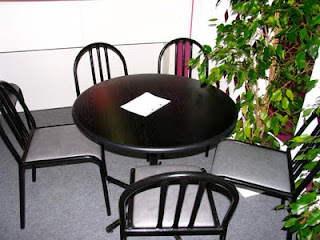 Even on the Monday – first morning of the fair – many of the stands are habitually empty with exhibitors drifting in leisurely as the clock moves towards 9.30. I know there is a Gallic charm to everything starting half an hour late but that can be lost on foreign visitors who may have travelled over from America and who have a busy programme and find that they have to kick their heels. I'd definitely make changes here. 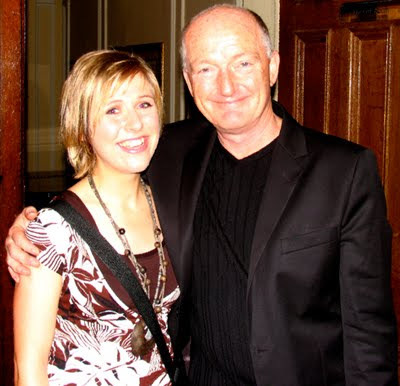 Having been a trophy winner in 2009 I was invited to be one of the judges. We had some 20 shortlisted blogs to judge across the four categories and given around two weeks for the task. Not easy to do when some blogs have hundreds of postings to look at. Unfortunately the organisers were obviously determined to shortlist seven blogs in each category, irrespective of quality but there were a few very poor blogs on the shortlist. It would make the judging much easier if bloggers had to enter the competition and to pick out five or six postings to be judged on. When the results came out I was amazed to see that the best overall blog was one that hadn't won any of the four categories and had only been shortlisted in one category – some blogs had been shortlisted in two. When I queried the result with the organisers I was told that the marks had been averaged out so as not to disadvantage blogs that were only shortlisted in one category! I'm all for equality but this is egalité gone mad! The winner of the best blog, which was a very good one, was shortlisted in the best writer category won by Hervé Lalau, who was shortlisted in two categories. Had Hervé only been shortlisted in one category, it is clear that he would have won both best writer award and the overall prize. How bizarre! Much more important than tidying up the bizarre rules is the need to make the wine bloggers trophy more international. This year only blogs partly or wholly in French were considered. Although there are some very good French wine blogs, French is not the language of the blogosphere. If the organisers want real credibility for this bloggers trophy it needs to be opened up to at least one other language – probably English. The vote on the internet for the best shortlisted blog attracted a total of just 1604 votes. Had the competition been more international my guess is there would have been more votes cast. It may well be that Aurelia Fillon's promising* Bu sur le web would again have topped a more international poll and would have given her win greater force and resonance. * Aurelia has a real screen presence in the same way that Gary V does. Having started only in December 2009 she has already built up a considerable presence. To really built her following I think she soon needs to build in greater variety into her videos, which are becoming formulaic – look how Gary V varies his show. I'm sure Aurelia has the personality and drive to succeed. Twenty-three wines were selected on 18th and 19th February as this year’s Sauvignon Blanc de Loire Project Ambassadors. The wines, all from the 2009 vintage, were chosen by a panel of four UK wine professionals, led by Sam Harrop MW. The all-female jury comprised journalists Sarah Jane Evans MW and Sarah Ahmed, and buyers Christine Parkinson from Hakkasan and Cat Lomax from Direct Wines. The panel chose the wines which best represent the quality and terroir of Sauvignon Blanc de Loire in a range of styles from tropical fruit, through to citrus and herbal, which they considered have the best commercial chances of success in the British market. 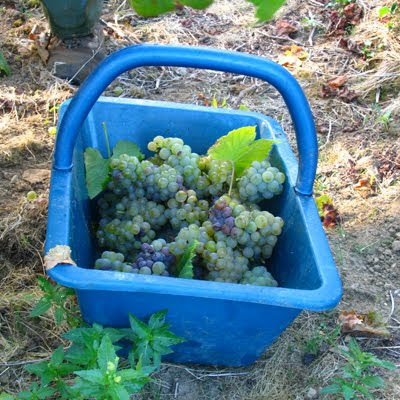 The tasting is part of the Sauvignon Blanc de Loire Project which is run by InterLoire, is managed by a local oenological technical team and has employed Harrop as its international consultant. 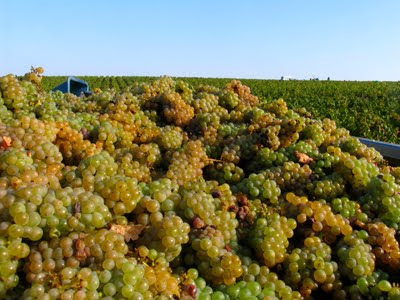 The main purpose is to create a better profile for Sauvignon Blanc de Loire, and to raise the region’s image in order to increase the perception and value of the wines on the UK market. Both the AOC and Vins de Pays ambassadors will be shown at this year’s London International Wine Fair in May. The AOC wines have also been entered into the International Wine Challenge and will be available to taste at France Under One Roof. In 2009 there were 29 wines chosen as Ambassadors – see here. 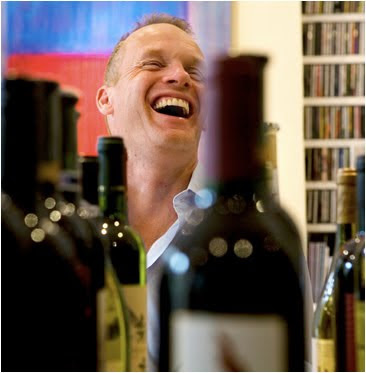 Tim Atkin MW, multiple award-winning wine columnist, is moving to The Times. He will have a regular weekly page in The Times’ new Thursday food and drink supplement. His first The Times column will appear next week – Thursday 4th March. Tim’s weekly wine recommendations will continue in the Observer until the end of March, when he will leave the Sunday paper. 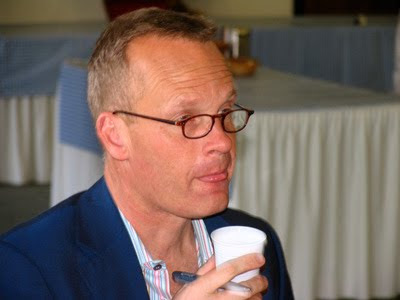 Tim has written for the Guardian newspaper group since 1989 – first for The Guardian and then, since 1993, The Observer. As part of their ‘relaunch’ The Observer axed Tim Atkin’s column reducing him to just two wine recommendations. Immediately the news broke freelance drinks journalist, Rebecca Gibb, set up a Facebook group – Save the Wine Column. It immediately attracted a lot of support and now has 1308 members. Jim’s Loire understands that The Times approached Tim by email on Tuesday 16th February – just eight days after the news broke that Tim’s long standing Observer column was being axed. Atkin commented: “Partly because of the wonderful Facebook site I have been offered a new job on The Times starting next Thursday – they thought the support was pretty amazing! It’s a bit of a wrench leaving The Observer after 17 years but I’m delighted to be involved in The Times’ new supplement. Jane MacQuitty’s column will continue in The Times on Saturdays . I'm delighted for Tim, especially after the shameful way he has been treated by The Observer – what a bunch of incompetents. Not only do they contrive to lose the UK's best wine columnist – especially from the number of awards Tim has won – but they have also 'relaunched' a widely criticised Observer magazine. With The Times Tim will get more exposure and I suspect will be paid more for his writing. This also shows the power of Facebook – Save the Wine Column now has 1309 members. See Tim's announcement about the move on his website. Am hoping to be able to bring you the results of this year's Sauvignon Blanc Ambassadors tasting that was held in London earlier this month. 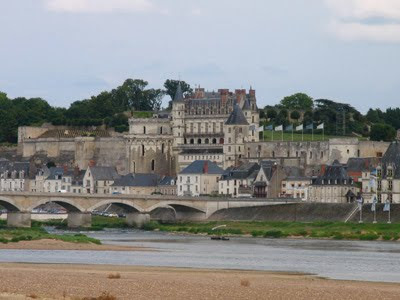 I have already had enquiries from the Loire asking when it will appear. It's just a question of awaiting clearance by Interloire. I just hope the French air-controllers strike isn't holding things up. It is good to turn away from the tawdry scandal of the fake Pinot Noir in the Midi and look forward to the Thorman Hunt's tasting in central London on Tuesday 16th March. And to look forward to tasting wines from a group of producers who strive to achieve the best quality possible represented by a fine traditional UK wine importer who believes in establishing and maintaining long-term relationships with their growers. Along with representatives from lesser regions of France, there will be a number of Loire producers to add brilliance to the occasion. Here is a copy of an extract from a letter (see below) from the US Treasury Department that appeared today in La Dépêche du Midi. 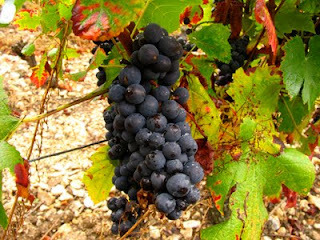 Sent to Christian Ligeard at the French Embassy it informs him that the American government will be tightening up its controls on the import of Vin de Pays Pinot Noir from Languedoc-Roussillon. Although some may object that the Americans have jumped the gun sending the letter before the twelve defendants were found guilty and the sentence handed down on 17th February, the US response appears to be reasonably measured as I understand it. They have asked for guarantees from the French Government with respect to Pinot Noir Vin de Pays from Languedoc-Roussillon imported into the US. Given the extent of the scandal the Americans might have been within their rights to demand guarantees on all vin de pays from Languedoc-Roussillon. It is worth remembering that much of the American legislation around alcohol and its distribution were informed by the attitudes prevalent in the lead up to, and during, the American experiment with prohibition. This letter is in regard to our letter dated February 13, 2008, in, which we raised our concerns about reports of erroneous or fraudulent classification and labeling of Pinot Noir from the Languedoc-Roussillon region of France. 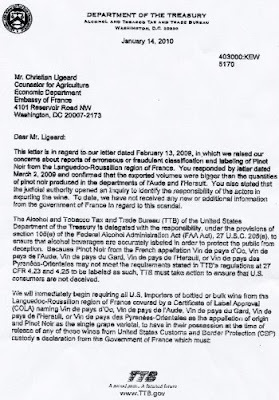 You responed by letter dated March 2, 2009 and confirmed that the epported volumes were bigger than the quantities of pinot noir produced in the departments of l"Aude and l'Herault. You also stated that the judical authority opened an inquiry to identify the responsibility of the actors in exporting the wine. To date, we have not received any new or additional information from the government of France in regard to this scandal. The Alcohol and Tobacco Tax and Trade Bureau (TTB) of thr United States Department of the Treasury is delegated with the responsibility, under the provisions of section 105(a) of the Federal Alcohol Administration Act (FAA Act), 27 U.S.C. 205 (e)*, to ensure that alcoholic beverages are accurately labeled in order to protect the public from deception. Because Pinot Noir from the French appellation Vin de pays d'Oc, Vins de pays de l'Aude, Vin de pays de Gard, Vin de pays de l'Herault, or Vin de pays des Pyrenées-Orientales may not meet the requirements stated in TTB's regulations at 27CFR 4.23 and 4,25 to be labeled as such, TTB must take action to ensure that U.S. consumers are not deceived. There have been several appeals lodged by those found guilty by the court in Carcassonne. These include Sieur d'Arques, Alain Maurel of Vignobles A. Maurel and Claude Courset (Ducasse). Of course the defendants are within their rights to appeal but these appeals extend the media spotlight on this substantial scandal. I assume that the various defendants come up with some more convincing defences than those that were recorded in the judgment of 17th February. As ever I feel sorry for the genuine hard-working producers of Languedoc-Roussillon and just hope that the fears apparently expressed in the aisles of Vinisud that the Pinot Noir scandal is but 'the tip of the iceberg' prove to be without foundation. 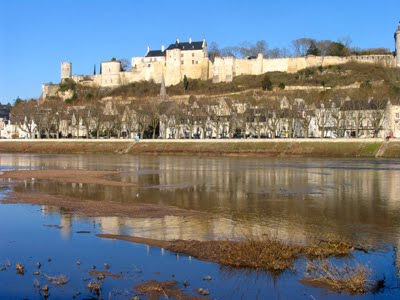 After months of discussions and uncertainty, Chinon's well-known annual medieval market will be happening again this year on Saturday 7th August. More details when I have them. Please note that when I first posted I thought the Marché was 31st July 2010. It is a week later: 7th August. My apologies. The Amboise wine school has an open day this Saturday 27th February. 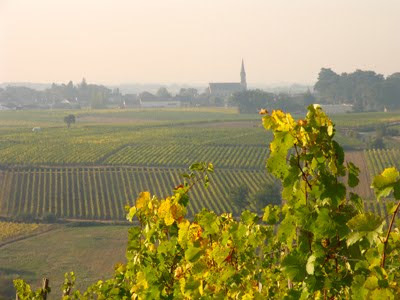 The Lycée d'Amboise is one of the two leading wine schools in the Loire – the other is in Montreuil-Bellay. The Domaine de la Gabillière is its associated vineyard and winery. 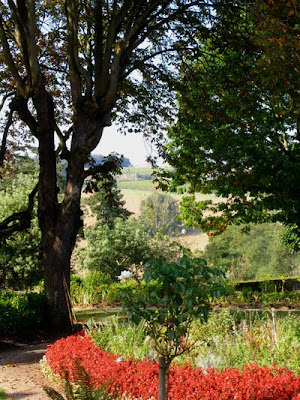 The open day is likely to be of particular interest for anyone thinking of embarking on studying how to look after vines and how to make wine. 'C'est une première au lycée viticole d'Amboise. Samedi, le public est invité à une journée spécifique portes ouvertes. L'opération était couplée jusqu'à maintenant avec la journée Vinycée, Salon des vins des lycées viticoles de France. Ce sera différent en 2010. Si le week-end des Vinycée est programmé en mars, par contre l'opération portes ouvertes se déroulera samedi prochain. Also on Saturday the chance to taste La Coulée d'Argent from Domaine Bourillon-Dorléans@Le Comptoir Saint Kerber from 9am-1pm. Address: Place Gaston Pailhou, Les Halles Centrales, 37000 Tours. A few photos taken on 10th October 2005 in Anjou during that wonderfully warm, dry autumn. Across the Layon: la douceur angevin! Quelle horreur – a screwcapped Portuguese red! Last night we went to the excellent and traditional restaurant O Painel de Alcântara and had the rich chicken dish – arroz de frango de cabidela – which is chicken cooked in its own blood rather in the same style as a jugged hare. 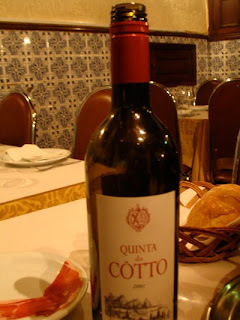 With it we drank a bottle of 2007 Quinta do Côtto, a Douro red. Its generous, sweet ripe fruit was an ideal match with the richness of the chicken dish. I was delighted to see that it is closed with a screwcap, although I'm mildly surprised that their quinta hasn't been torched by supporters of the Portuguese cork industry!! Quinta do Côtto is the domaine wine and the 2007 is a blend of Touriga Nacional, Tinta Roriz, Touriga Francesca and Sousão. Part of the wine spends nine months in Portuguese oak barrels. O Painel is open from Monday to Saturday and every day has two or three special traditional dishes. On Monday, for instance, it's our chicken plus pasteis de balalhau with arroz de grélos and a cabrito (goat) stew. The portions are extremely generous – usually a feature of Portuguese restaurants – and , if you can, it is worth leaving some space for the desserts. We had an wonderfully opulent laite creme (créme brulée) and chocolate mousse with plenty of chocolate flavour and not too sweet, as is so often the case. Certainly highly recommended if you want good wholesome, traditional Portuguese food with good, thoughtful service. Delicious samosas and ham to start. The Facebook group 'Save The Wine Column' now has 1270 members. If you haven't already joined please click here. 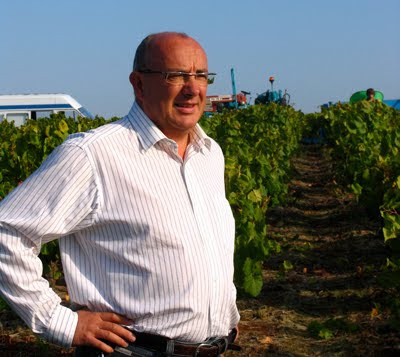 In my contribution today on our cooperative blog – Les 5 du Vin – I call for the resignations of Alain Gayda and Pierre Mirc, managing director and president respectively, of Sieur d'Arques. Although Gayda and Mirc both protested their innocence of the fraud, the court judgment identifies them, especially Gayda, as amongst the principals in the fraud. Although the oenologue who told the truth to the police has lost her job at Sieur d'Arques, Gayda and Mirc both remain in post despite the court's damning verdict. Nowadays it is clear that nobody resigns even when involved in a 7 million € fraud. See on Les 5 du Vin heads must roll! For an alternative view see the posting here on the blog of Jacques Berthomeau. Other posting on the fake Pinot Noir here, here, here and here. This looks like a great opportunity to taste a lot of Bourgueil and meet many of the producers. 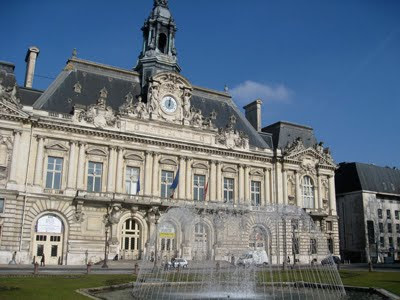 The tasting will be in the centre of Tours. For details go to the end of this post. Will be at Boulevard Heurteloup on Saturday 27th March from 10am-7pm. Will also be possible to buy wine from the producers. Update: 26th March there will be 46 producers showing their wines tomorrow. Reading part of the judgment makes depressing reading, particularly the role that Sieur d'Arques played in the fraud. Having visited Sieur d'Arques on a number of occasions during the 1990s including for their innovative Toques et Clochers auction of barrels of Chardonnay, I had always been impressed and felt that they were a model co-operative. Sadly it would appear, despite the continued denials by Pierre Mirc, president of the co-op, and Alain Gayda, the managing director, that they were up to their necks in the scam. Gayda and Mirc claimed they had no idea how much Pinot Noir is planted in Languedoc-Roussillon nor how much is produced. They claimed that as vin de pays was only a marginal part of their business – less than 10%, especially bulk sales their interest was devoted to Sieur d'Arques more prestigious products. Neither the French fraud squad nor the court were over-impressed by this line of defence. In addition to being president of one of the leading cave cooperatives in the region Mirc is a representative on the INAO, the Fédération Départmentale des Caves Cooperatives and the Syndicat des Producteurs de Vins de Pays d'Oc. Reading the court summing up you might conclude that Sieur d'Arques know nothing and care even less about Pinot Noir, which is rather curious as Pinot Noir features as part of the blend in no less than six of their Crémants de Limoux – Blason Rouge, Blason d'Arques, Bulle de Crémant Rosé (10% Pinot Noir – limited amount because PN isn't widely available in the region? ), Diaphane Grande Cuvée and Crémant Sieur d'Arques Brut and Extra Brut. Admittedly these are AC wines, so perhaps they take more care over its origins. 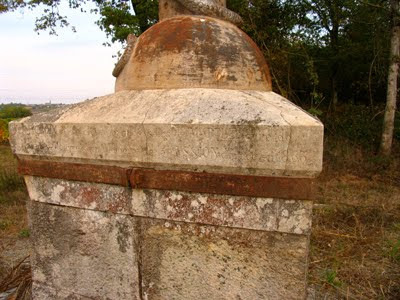 Gayda's defence was further undermined by Sieur d'Arques oenologue, Christelle Della'Ava, handing over a copy of an email received by Alain Gayda on 28th October 2005 from ONIVINS detailing how much Pinot was planted in Languedoc-Roussillon. Gayda had asked ONIVINS how much Pinot was planted. Gayda passed on a copy of this email to Christelle Dell’Ava, who was then Sieur d’Arques chief oenologist in charge of the bulk Pinot market). Gayda wrote ‘confidentiel ! !’ in the margin. What could possibly be confidential about the plantings of Pinot in Languedoc-Roussillon unless you were already in the process of setting up the fraud? The information from ONIVINS would have told Gayda that the maximum amount of Pinot that could be produced in the region was 67,680 hls. The court notes that Sieur d'Arques had already sold, according to Gayda's testimony, 10,000-12,000 bottles of Pinot under their 'Red Bycicle' brand. 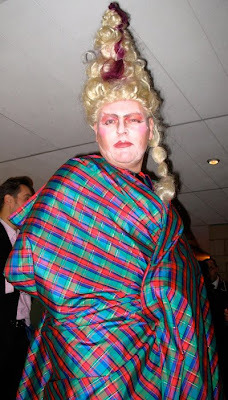 In 2006 Sieur d'Arques bought 53,989 hls from Ducasse, the Carcassonne négociant at the heart of the fraud. Then in 2007 they bought 75,376 hls from Ducasse. Sieur d'Arques sold to the Americans a total of 124,894 hls (16.6 million bottles). 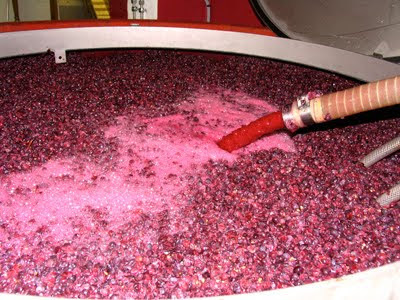 Leaving aside the maximum figure for the annual production of Pinot Noir in Languedoc-Roussilon, the fraud enquiry estimated that the region produces between 55,000 to 60,000 hls of Pinot. In 2006 Ducasse bought 53,889 hls of 'Pinot' – 93.34% of the total Pinot available on the market in Languedoc-Roussillon. The following year that percentage rose to 132.87%. 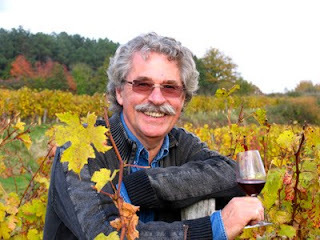 Of the growers who supplied Ducasse and who were charged with the fraud, only Vignobles Alain Maurel (Domaine Ventenac and Château Ventenac in Cabardès) has any Pinot planted and then only a minimal amount as there appears to be is no mention of it on their website and certainly isn't listed as a component in any of their wines. Sieur d'Arques: 1,307,024 on a turnover of more than 16 million € from the sales of Pinot. In all of this it still remains a mystery exactly how much of the fake Pinot Noir was bought by Constellation Wines and Gallo. Constellation say they bought 10% but claim that what they bought really was Pinot Noir, while Gallo say that they purchased less than 20%. If these claims are correct then we don't know who bought more than 70% of the fake Pinot, assuming that all of it went to North America. The answer has to be in Sieur d'Arques records as they bought the vast majority of Ducasse's fake Pinot. It may also be in the court judgment – unfortunately I have only part of this. Digital cameras are wonderful but it can take a long time to sort through what you have taken. 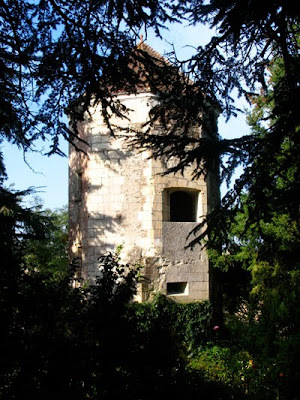 This series of pics was taken during a visit to Château de Chasseloir at the end of September in 2009. Conditions were still perfect and this was the end of the vintage. Indeed so good had the conditions been that you can see that some of the grapes are way riper than is customary in the Pays Nantais. 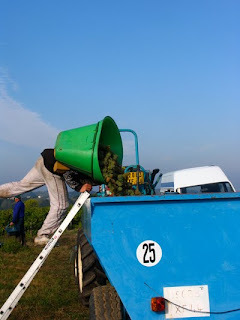 Bernard Chéreau – clearly the boss is not expected to pick many grapes! 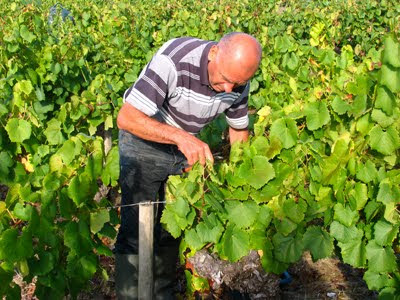 Au début de l’année 2010, un livre sur la région de Sancerre et ses productions, réalisé par Claude Rolland est paru. Ce livre, de format 270 x 210 mm à l’italienne, de 240 pages est illustré de plus de 200 aquarelles. Il est disponible aux adresses suivantes, contre 33€ l'unité (tarif dégressif). 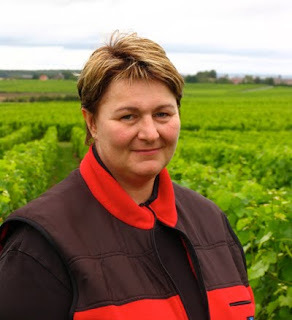 I was very sad and shocked to hear just a short time ago this evening that Florence Dagueneau (Domaine Serge Dagueneau et Filles, Saint Andelain) died of liver cancer on Monday 15th February. I had no idea that she was ill. Florence was only 40. She was buried on Wednesday following a service at the local church – L'Eglise Saint-Leger de Saint Andelain. My thoughts are with the Dagueneau family – her parents – Serge and Marie-Françoise and her sister, Valérie. I remember with pleasure a visit to the domaine with Sarah Ahmed in August 2008 when Florence showed us around and we tasted the wines both from Pouilly and from the vineyard in the Coteaux Charitois. See my posting on our visit here. 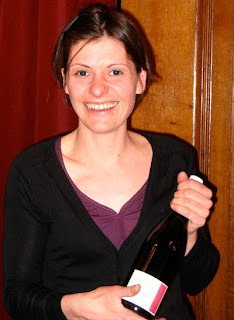 Florence with Valérie, Serge and Marie-Françoise kept Serge Dagueneau et Filles among the top handful of producers in Pouilly. There is a Facebook group called Hommage à Florence Dagueneau. Il était une fois une fée. Ce n’était pas une de ces créatures blondes et filiformes qui hantent les contes pour enfants, elle n’était pas affublée d’un chapeau ridicule ni d’une encombrante baguette magique. C’était une vraie fée de la vraie vie. Elle possédait des pouvoirs incroyables et innombrables. En fait, elle pouvait réaliser n’importe quoi, du moment que c’était pour faire plaisir à quelqu’un. Sa bonté n’avait pas de limites, son dévouement et sa générosité étaient uniques au monde. Elle pouvait faire surgir par enchantement une table de fête avec les meilleurs mets qu’on puisse imaginer, sa gourmandise n’ayant d’égal que son génie de cuisinière… et sa convivialité. Mais pour ce dernier point, il faut bien avouer qu’elle n’avait AUCUN mérite, vu que dans sa famille ils étaient tous nés comme ça. Cette fée, d’ailleurs, n’était pas coincée comme ses collègues, Mélusine ou Morgane, ou toutes ces autres fées pimbêches. Elle aimait la vie, elle aimait la fête, elle aimait les gens et les gens l’adoraient. Les enfants accouraient vers elle, les vieux et les faibles se savaient protégés quand ils l’approchaient. Même les animaux l’appréciaient, et surtout les grands cerfs, qui s’étouffaient de rire à l’entendre souffler dans son brâmeur, au fond de la nuit des bois. C’était une fée parfaite et bien terrestre, qui pouvait aussi râler, rouspéter et jurer, conduire le tracteur comme les grands, qui remontait ses manches et ne rechignait jamais à la tâche. 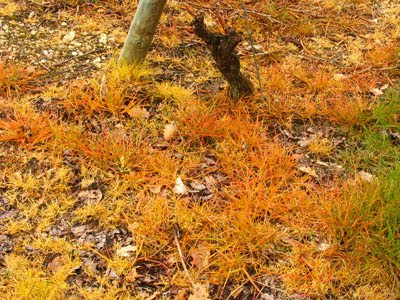 De ses épopées dans les vignes, elle ramenait de la boue sur ses bottes, mais aussi les plus merveilleuses images. Car elle savait voir la brume se lever, les raisins se couvrir de rosée, elle savait attraper l’horizon lorsqu’il se mettait à rosir. Son paysage changeait à chaque instant, et du même lieu elle comprenait chaque nouveau frémissement, elle attrapait au vol chaque frisson de la saison. Elle créait et recréait, elle aimait le beau. Elle comprenait aussi toutes ces choses étranges et dérangeantes que les nouvelles technologies ont le génie d’inventer. C’était une fée branchée. Toute seule devant son grimoire lumineux, elle déchiffrait des formules incompréhensibles, elle se jouait des gadgets nippons, surfait sans les vagues et naviguait sans bateau. Mais quand elle revenait sur terre, c’était pour faire plaisir à nouveau. Elle partait quelquefois s’enfermer dans son laboratoire, dont elle ressortait les bras chargés de brioches chaudes qui embaumaient la bouche et le cœur de tous les vendangeurs. Et puis bien sûr, elle savait préparer, avec l’aide d’une autre fée que je connais bien mais dont je ne parlerai pas, un breuvage fabuleux, dont le secret leur avait été confié par leurs parents, le roi et la reine de ces terres bénies. Lorsque les gens buvaient de cette potion magique, la joie et le plaisir explosaient en eux, tout emprunts de l’amour qu’il avait fallu pour le confectionner. Evidemment comme toutes les fées elle fréquentait beaucoup les étoiles. Elle avait d’ailleurs découvert toute seule le chemin qui menait vers elles. De temps en temps, elle partait les visiter, une carte du ciel en main, les yeux pleins de rêve. Un beau jour une de ces étoiles lui fila un rencart. Une étoile plus sensible que les autres, une étoile qui n’en revenait pas de toute cette beauté d’âme, une étoile qui ne voulu plus que Flo s’en retourne. Elle la garda près d’elle. A partir de ce jour, des milliers de petits grains de raisins pleureront à jamais sa perte, laissant chaque année des litres de larmes les plus amères… et que la fée Flo, du haut de ses étoiles, changera en nectar magnifique, en souvenir d’elle et de tous ses bienfaits. Nous avons tous une chance incroyable d’avoir rencontré cette fée. Croiser quelqu’un comme ça dans une vie, vous procure une richesse incroyable. Cette richesse restera toujours en chacun de nous, elle continuera à être une partie de Flo parmi nous, chaque jour et chaque instant. 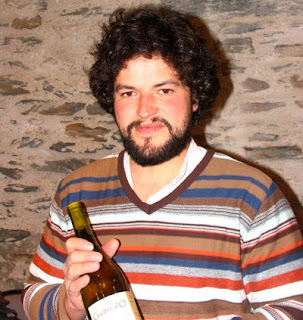 I was very impressed with Sylvain's 2007 Goutte d'O (100% Chenin) when I tasted it in the UK, where it is imported by Les Caves de Pyrène, so it was good to meet him at the Renaissance tasting in Angers (31st January). 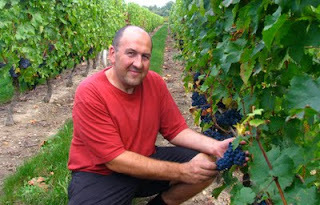 Sylvain is very much a 'boutique' producer with just two hectares of vines and is based in Chemellier in the Aubance between Brissac-Quincé and Saint-Georges-les-Sept-Voies. On tasting the 2008 Goutte d'Or I'm a little less convinced than I was with the 2007. 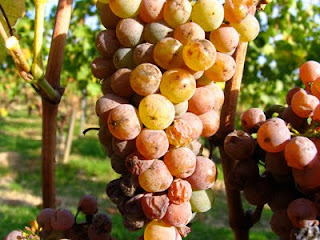 The nose is more oxidative, although the taste is clean and long. I expect I will probably get the chance to taste this again at Les Caves tasting in London next month. 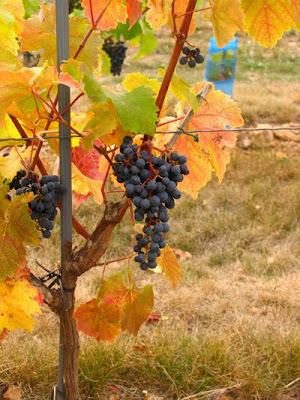 Traditionally Grolleau Noir has been the major component of Rosé d'Anjou but there are a number of the 'Renaissance style' producers making their Grolleau Noir into a red wine. I tasted Sylvain's 2009 Grolleau Noir, which is not yet in bottle. 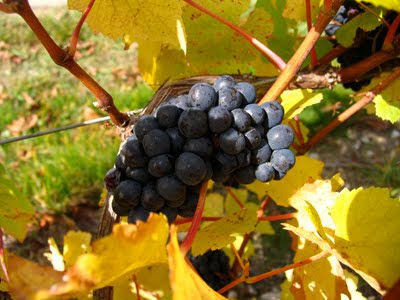 It has some attractive, ripe fruit – typical of 2009 – but is a bit rustic, which tends to be a characteristic of Grolleau Noir. Will be interesting to taste this once it has been bottled. Nothing wrong with a bit of rough trade – who needs sophistication all the time! It has now emerged that Constellation was the other US company which bought the fake Pinot Noir. 'Ce négociant (referring to Ducasse) avait fait passer d'autres cépages pour du pinot et avait revendu ce vin à la société de commercialisation "Sieur d'Arques" qui, en bout de chaîne, le livrait aux Etats-Unis, en particulier au groupe américain E&J Gallo. Constellation Brands Inc. confirmed Thursday that it purchased pinot noir from a French supplier involved in a massive scheme to sell a phony version of the wine variety, but the company said it believes the product it bought was genuine. The WSJ also reported that Constellation said that the wine 'was tested internally after the French court case began and found to be pinot noir'. If Constellation bought the remaining 80% of the fake Pinot Noir or a significant proportion, then it would seem unlikely that it was all genuine Pinot Noir, although some of it may well have been genuine Merlot or Syrah. However, if Constellation's internal testing procedure is correct and what they bought was Pinot Noir (it does rather depend upon what vintage they tested), the mystery still remains – who bought the remaining 80% fake Pinot Noir. The Facebook group founded on 8th February by freelance wine journalist, Rebecca Gibb, has just topped the 1000 mark. Rebecca set up the group following the news that Tim Atkin, one the UK's most respected and successful wine writers, was having his long standing column in the Observer slashed. Attracting 1000 members in around 10 days is becoming a solid indication that The Observer has miscalculated – Tim is one of the bright points in the increasingly lacklustre paper, which this weekend is hoping to revive its fortunes with a relaunch. In ditching Tim's weekly column in the Observer magazine, the Observer's editor, John Mulholland and his management team have shown that they have chosen the wrong set of deckchairs to hurl overboard. I fancy a fair few of the 1000 members may cease to buy The Observer if it does not have a proper weekly wine column. Also I gather that John Mulholland, the editor of the Observer, is aware of the growing row about the axing of Tim's column. At a conference to unveil the new look Observer he admitted that there was "an unholy row about the wine column"! If you haven't already joined and would like to see wine columns continue in newspapers around the world, please join by following this link. E&J Gallo has issued the following statement on the fake Pinot Noir. "We are deeply disappointed to learn today that our supplier Sieur d'Arques has been found guilty of selling falsely labeled French Pinot Noir as recently as March of 2008. Based on the available information of the Pinot Noir that the French courts have investigated, Gallo imported less than 20% of the total and is no longer selling any of this wine to customers. We believe that the only French Pinot Noir that was potentially misrepresented to us would have been the 2006 vintage and prior. We want to assure our consumers that this is not a health and safety issue and that we will continue to work with the appropriate U.S. authorities to determine any next steps required for potentially mislabeled Pinot Noir in the marketplace." The statement rather raises as many questions as it answers. 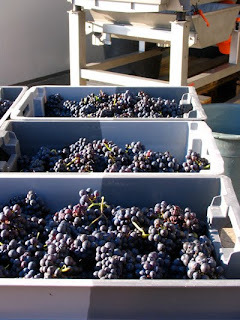 20% of the total of the fake Pinot Noir is still 3.6 million bottles. If Gallo only bought 20% of the fake Pinot Noir, who bought the remaining 80%. As far as I can see there is no mention in all the reports of the court proceeding of any other company who might have bought the false Pinot Noir. 'We believe that the only French Pinot Noir that was potentially misrepresented to us would have been the 2006 vintage and prior. 'I love the 'only' and the 'prior' – just brilliant! The scam started in January 2006 – for bulk wine this would have presumably been for the 2005 vintage. It continued through to March 2008 when it was discovered by the French Suppression des Fraudes. Thus it would have included wine from the 2006 and, possibly 2007 but much less likely as the Fraud Squad were onto the case probably before the 2007 was shipped. 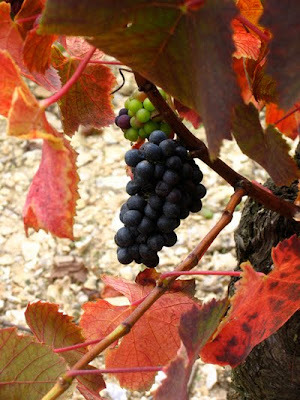 It does raise the question of from where in Languedoc was the 2007 Pinot Noir sourced if demand remained at the level of the previous vintages. Was there enough genuine Pinot Noir available in Languedoc to satisfy Gallos requirements? According to the Gallo site the 2005 was 100% Pinot Noir, 2006 contained 85% Pinot Noir, 10% Grenache and 5% Syrah, while the 2007 has 88% Pinot Noir, 7% Syrah and 5% Grenache. Under US varietal labelling rules only 75% of a single named varietal needs to be in the blend. For Europe and Australia it is 85%. See previous posting on the Red Bicyclette scandal. Also posting on Constellation as the other buyer. The Save the wine column on Facebook has now reached 980 just 20 short of 1000. If you haven't already joined here is the link to show your support. I see that the court in Carcassonne today passed sentence on those convicted in the fake Pinot Noir scam. 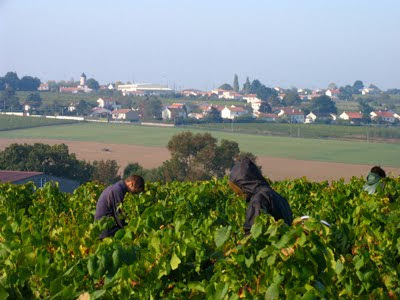 Oceans of Pinot Noir were sold by various organisations including the cooperative Sieur d'Arques in Limoux and Ducasse, a négociant at 4 Avenue Thomas Edison, 11000 Carcassonne to E&J Gallo for their Red Bicyclette Pinot Noir. France's fraud department became suspicious during an audit at Ducasse when they discovered that Ducasse were buying Pinot Noir at 58€ per hectolitre when the normal market price for Pinot Noir was 97€, while local grape varieties could be bought for 45€. 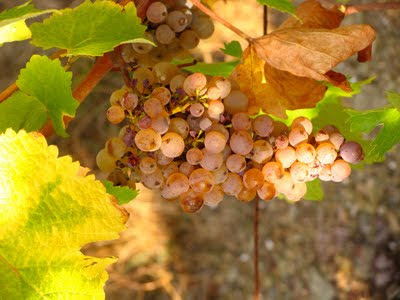 It also emerged that more Pinot Noir was being sold to Gallo than was produced in the whole of the Languedoc – around 50,000 hl a year. 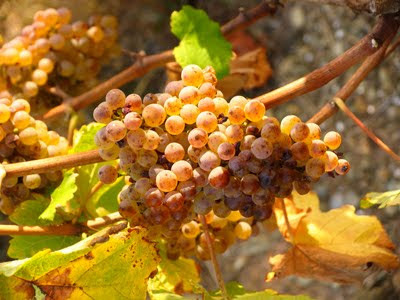 It is only in the cooler areas of Limoux that Pinot Noir can be successfully grown – the majority of Languedoc-Roussilon is far too hot for the Burgundian grape. 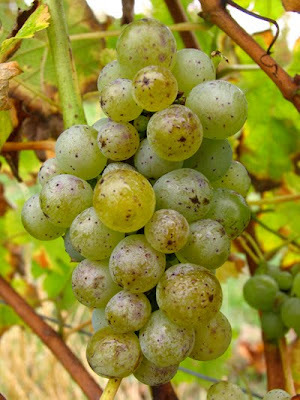 Patches of Pinot Noir, however, can be found in various parts of the region. On 7th February 2009 Agrisalon reported that every year a company based in Limoux sold over 100,000 hls of Vin de Pays d'Oc Pinot Noir to the North American market. The 12 defendants were found guilty of selling 18 million bottles (135,334 hectolitres) of fake Pinot Noir to Gallo. The fraud ran from January 2006 to March 2008 and during this time the defendants made a 7€ million profit. The court today handed down suspended jail sentences of between one and six months and levied fines of between 3000€ and 180,000€. Claude Courset of Ducasse received a six month suspended sentence and was fined 45,000€, while the Sieur d'Argues Co-operative was fined 180,000€. Sadly Sieur d'Arques used to have a high reputation and appeared to be a model co-operative. There have recently been some suggestions that executives at E&J Gallo should have realised that they were being sold fake Pinot Noir. This seems to me to be terribly unfair – why should Gallo executives be expected to tell the difference between Pinot Noir and Carignan and Alicante Bouchet? Actually it was apparently Merlot and Syrah but given the size of the scam there might well have been some Carignan in it. It is very sad that this scandal will have confirmed some people's view that wine is all about fakery and will hit all French wine, in particular the region of Languedoc-Roussillon. 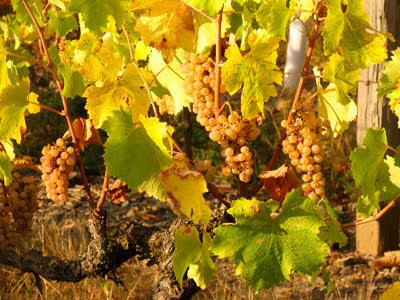 It undermines the efforts of many independent wine producers throughout France. The sort of producers that this blog hopes to play a part in celebrating and promoting. See also Michel Smith's posting about the glories of Languedoc-Roussillon. 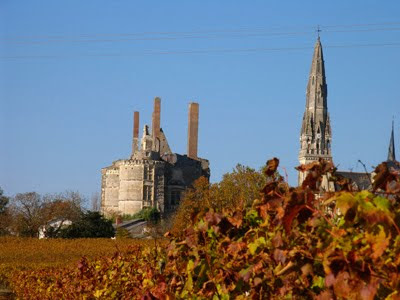 Interesting article on Patrick's blog on historic grape yields in Anjou citing Le Vigneron Angevin by Dr P. Maisonneuve published in 1928. Yields even on the most fertile of vineyards didn't exceed 35 hl/ha and on the more infertile slopes never more than 12-16 hl/ha and often much less. In 1921, for example the yields were between five and ten hl/ha. 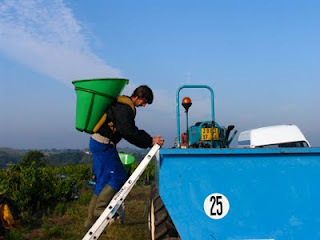 Patrick notes that it was the arrival chemical fertilizers in the 1970s that changed this natural balance and permitted a big increase in yields – the current rules for AC Anjou Blanc permit a base yield of 60 hl/ha. He argues that it was this increase in yields that robbed wines of their authentcity and notes the more recent move by quality minded producers away from the use of artificial fertilizers. I note that Patrick's copy of Maisonneuve's has a few splashes of wine on its cover – an Anjou Rouge perhaps? Also a good piece here by Bertrand Celce on Tim Johnston's Juveniles wine bar in Paris. I recently saw Tim at the Salon des Vins de Loire making his annual Monday trip to the fair looking for interesting new things. Claude – the net can even things up!